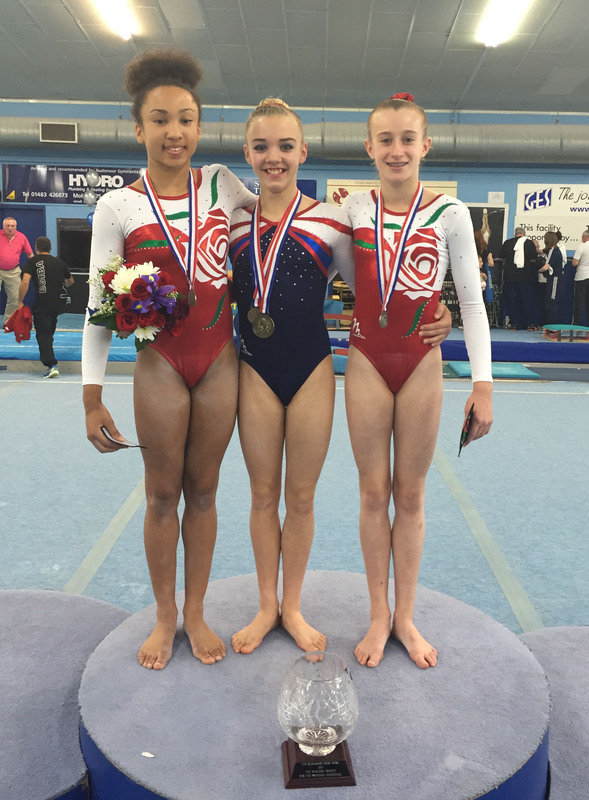 Competing at the Rushmoor Rosebowl international was City of Birmingham and GB gymnasts Megan Parker, Racahel Fraser and Hannah Leeson all in their debut International competition. 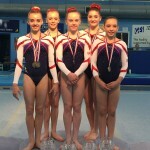 Megan was part of the GB team competing alongside four other junior teammates, Chiara Bunce, Louise McColgan, Sophie Scott and Phoebe Turner. 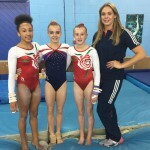 The two day Rosebowl International event is now in its 34th year and took place from the 17th – 18th October 2015; Team coaches were Jody Kime and Nia Edwards. Both Rachel and Hannah were competing for England. Competing teams were Great Britain, England A, England B and Spain as well as twelve other British club teams. Favorable results saw Megan finish as all-around competition top scorer with a personal best of 52.950pts and GB taking the team top spot with England A in 2nd place. 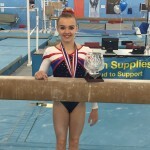 Megan was the only GBR gymnast to make three finals. Beam was her first final, with a precise clean beam routine Megan took the gold medal with ease. In the bar final a fall from handstand at the finish of her shoot half turn to low bar skill marred an otherwise clean lined strong routine to push her into silver medal position. In her floor final an unfortunate placing of hands on the floor from her double back somersault pushed her out of the medals.